Well what a hectic time INSD was! It is good to have a few days to breathe and think about what is coming next. 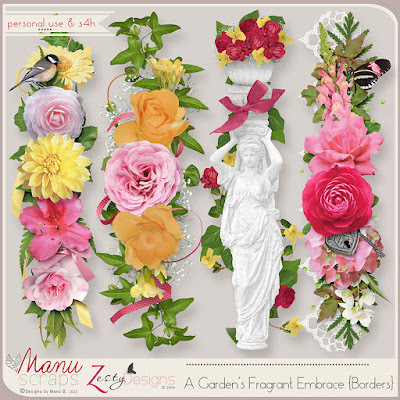 My big news is that following on from the popularity of the collaborative more-than-a-mini pair that my great friend, Manu of Manu Scraps and I did in February - "What I Love About You" - we decided to do it again! 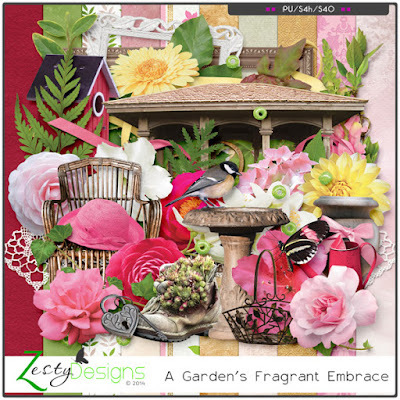 This time we decided to go with a Spring garden theme so working with the one palette, we have just released "A Garden's Fragrant Embrace". This one has in mind strolling through parks and gardens in their full beauty with the sweet scents of flowers in the air. Again, we have a bonus pack for those who buy both! (see in store for details.) 30% off for a limited time. Don't you just love when winter is past and everything in the garden springs to life again? 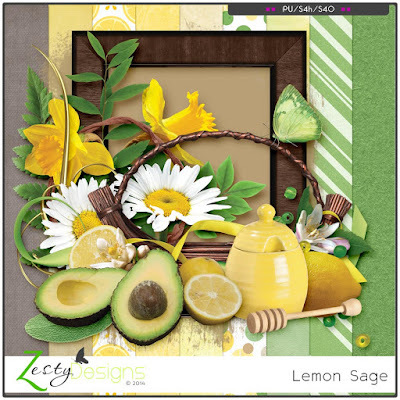 'LEMON SAGE" is on 30% off through May 15, so it's yours for just $2.45! Don't miss out. Download the free Starter mini, complete your page according to the challenge rules, and at the end of the month, receive a beautiful bonus! Simple. 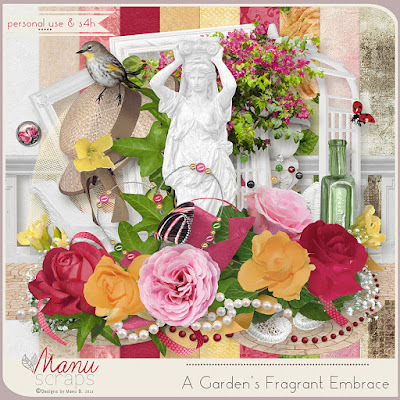 Two new minikits coming this week: "Memories Of Mom" and "Champagne Blush"
NEWSLETTER: Exclusive free gift! Sign up on my FB page or on the link here on my blog.